What happens when we let our inhibitions go and allow ourselves to be fully immersed in an unfamiliar place? I find myself asking this question as I continue settling into my new surroundings. Getting back into the routine of working is a challenge after curating my own schedule. Even though my time is no longer filled with drive-abouts and explorations, I still have to make time to maintain my work-life balance. No matter what pulls us away from experiencing an unfamiliar place we have to push past these distractions. We all are hesitant to put ourselves out there and fear what it might mean to allow ourselves to be vulnerable. But we can overcome these feelings by letting out our inner child. The one who has no fears or inhibitions and lets their curiosity take over. This is when our minds expand and we begin to embrace change, new experiences, and unfamiliar places. We were able to re-visit and spend more time at one of our N E W favorite places, Breadico. I came across their amazing baguette at The Co-Op and they had me at my first bite. I was immediately taken back to Paris and our daily routine of going to the boulangerie for pastries and to-die-for bread. Breadico's baguettes have the right amount of crunch, flakiness, and all around flavor. I knew that I had to find their space to get the full Breadico experience. My curiosity paid off when we found this hidden gem in their beautifully restored brick building in Downtown Sioux Falls. There was an immense amount of natural light and the smell of bread overwhelmed our senses as we entered. This is what I call a little piece of foodie heaven. In chatting with the owners, we were able to learn more about their 48 hour fermentation process and their delicious wood fired oven pizzas. The to-be husband and wife team were a nice warm welcome to the restaurant. Not to mention that the pizzas, brioche buns (4 of which we took home! ), and babka rolls were S C R U M P T I O U S! Breadico has a special place in my foodie repertoire and will be a regular stop on our Sioux Falls trips. 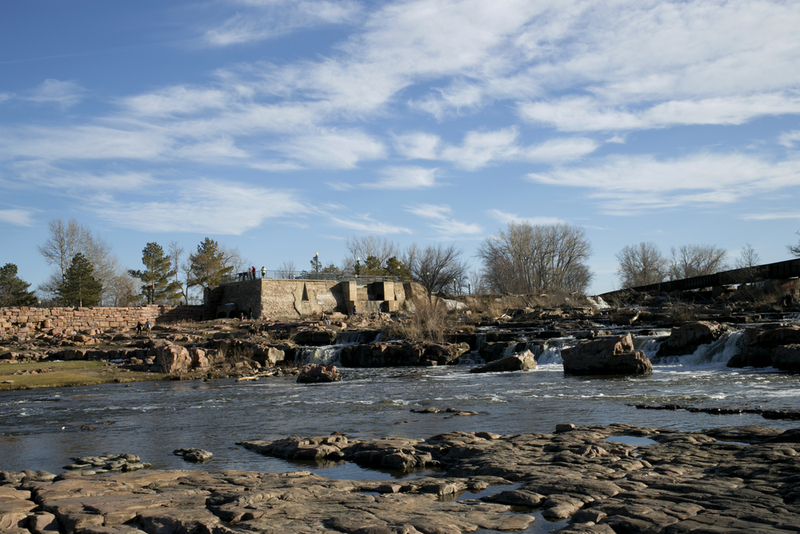 I know that there is so much more of South Dakota to explore and immerse myself in. As warmer weather peaks out from behind winter, I am eager to experience undiscovered parts of this state. I will begin featuring a new space each week from my adventures around the area. These mini posts will be a nice mid-week pick me up. I can't wait to share more of SD and the Midwest with you all!